CLICK HERE to create a DanceStudio-Pro account, a service that allows you to register for classes, view your statement and pay for classes online. If you have any questions regarding classes, please call the studio at (810) 364-3122 and we can walk you through that process. 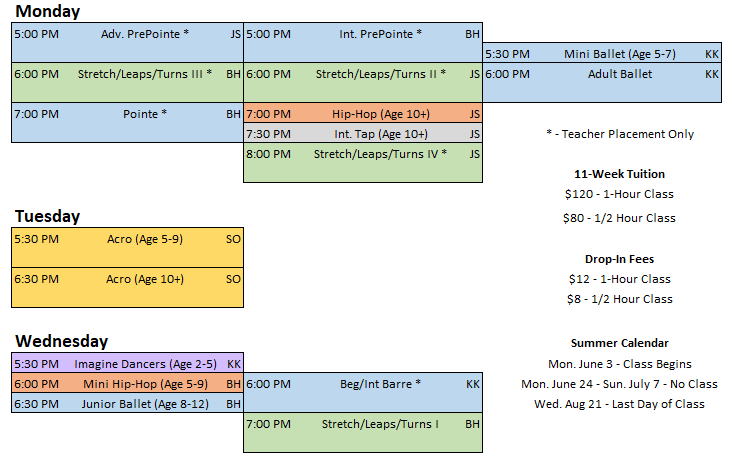 Log into DanceStudio-Pro and register for classes in the "Summer 2019" season. If you are approved to take a "Teacher Placement Only" class, it will appear as an available option for you. Please visit the front desk if you have any questions/concerns regarding summer enrollment.